You Are Here: Home > What’s New For The 2016 Chevy Corvette? For the 2016 model year, Chevy took their already pretty perfect Corvette and made it even better. Still a steal, compared to other performance cars, the 2016 Chevy Corvette is available at Chevy Albany NY, and better than ever before. Read on to see, not only what’s new, but what lies at the heart of the iconic Chevy Corvette. We love the Chevy Corvette and found ourselves asking, “Why mess with perfection?” when it came to rumors of changes for the 2016 model year. However, we can answer one cliché with another, “There’s always room for improvement,” which is clearly the pulse of Chevy’s research and design team. While the refresh isn’t overwhelming, the results are stellar. The new features you can expect to enjoy include a flat-bottomed and leather-wrapped steering wheel, Apple CarPlay integrated as standard, front-view parking cameras available on higher trim levels, a power-closing trunk on both the convertible and coupe, optional two-tone seats, optional adaptive suspension dampers available with the Z51 performance package, and a new Z06 C7.R Edition, which is rife with racing details. The Atlantic and Pacific packages have been discontinued. 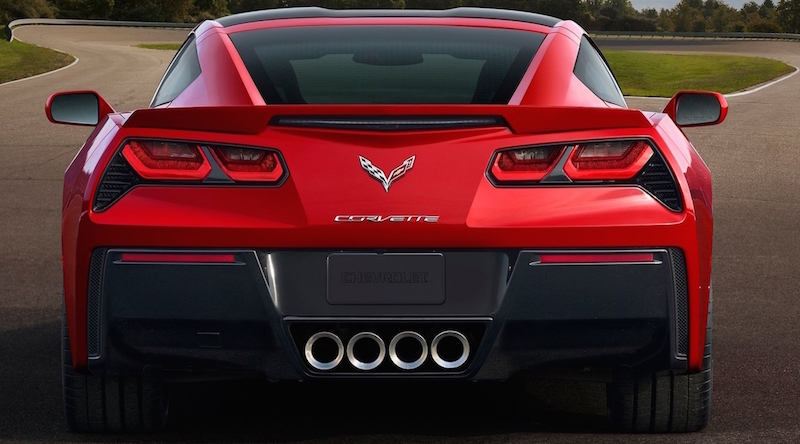 Let’s take a look at the rest of the 2016 Chevy Corvette in order to appreciate these new enhancements. Still available as a convertible or coupe, the 2016 Chevy Corvette comes in three trim levels. The Stingray represents the base level, followed by the Stingray Z51 and Z06. The Stingrays comes in three sub-trims: the 1LT, 2LT, and 3LT; while the Z06 splits into the 1LZ, 2LZ, and 3LZ sub-trims. The convertible option comes with a power soft top that can be controlled even while the car is in motion up to thirty miles per hour, and the coupe has a roof panel which can be removed and stored in the trunk. If you’re interested in the Stingray LT1, expect your ride to include features like xenon headlights, keyless entry and ignition, cruise control, dual-zone automatic climate control, Brembo brakes, leather upholstery, power tilt-and-telescoping steering wheel, eight-way power front seats, and 18-inch front wheels complemented by 19-inch rear wheels. A few technology perks in the Stingray LT1 include Bluetooth audio and phone integration, OnStar, which comes with 4G LTE data and WiFi capabilities, 8-inch color display, 8-inch infotainment touchscreen for the Chevy-exclusive MyLink system, nine-speaker Bose stereo system, satellite radio, and rearview camera. The Stingray Z51 1TLT gets bigger wheels, measuring 19 inches in the front and 20 inches in the back, bigger brakes, more athletic suspension tuning, slotted brake rotors, electronic limited-slip differential, dual-mode performance exhaust, and dry-sump V8 engine oiling. Moving up to the Stingray 2LT line, expect enhancements like automatic-dimming driver-side and rearview mirrors, those new front-view parking cameras, heated and ventilated seats, 10-speaker Bose speaker system with dual subwoofers, head-up display, and for the coupe, a cargo shade. At the top of the Stingray line, the 3LT comes equipped with extra bells and whistles like a navigation system, which features the Corvette-exclusive Performance Data Recorder, as well as an interior-color instrument panel, synthetic-suede upper interior trim, and high-end leather upholstery. The Z06 1LZ, takes the all the equipment from the Stingray Z51 1LT and boosts it with bigger brakes, a carbon-fiber hood, Z06-exclusive sport-tuned suspension, head-up display, and a more robust aero package which adds extended fenders on the front and back, larger cooling vents, and a specially-styled rear fascia and front grille. For the Z06 2LZ and Z06 3LZ, expect upgrades to mirror those found in their 2LT and 3LT counterparts, respectively. If you want something racier, check out the Z06 C7.R Edition, enhanced by the Z07 Performance Package, which comes with exterior graphics inspired by the racetracks, sport seats, yellow calipers, complemented by yellow interior accent stitching, along with a carbon-fiber exterior and interior trim. All of these performance beasts can be further muscled and toned with available packages and options, like the Carbon-Flash Painted Ground Effects or the Visible Carbon-Fiber Ground Effects packages. Other options include sport seats available on all 2016 Corvette models, as well as two-tone interior detailing, to name only a couple of customization possibilities. The team at Chevy Albany, NY can give you an exhaustive list of potential configurations and ways to personalize your 2016 Corvette. A quick start is to check out the spectrum of available exterior colors, including: Arctic White, Blade Silver Metallic, Corvette Racing Yellow Tintcoat, Daytona Sunrise Orange Metallic, Laguna Blue Metallic Tintcoat, Long Beach Red Metallic Tintcoat, Night Race Blue Metallic, and Shark Gray Metallic. Regardless of which 2016 Corvette model you choose, each one comes with plenty of pulse-racing power. The Stingray and Stingray Z51 are equipped with a 6.2-liter V8 engine, generating 455 horsepower and 460 lb.-ft. of torque. You can boost that horsepower with an available five extra horses, thanks to the performance exhaust. This powertrain is matched to a standard seven-speed manual transmission, but can be switched out for an eight-speed automatic transmission. Each one comes with launch control. So equipped, expect fuel efficiency rated by the EPA at 17 city, 29 highway, and 21 mpg combined from the manual transmission; while the automatic transmission is nearly matched at 16 city, 29 highway, and 20 mpg combined. 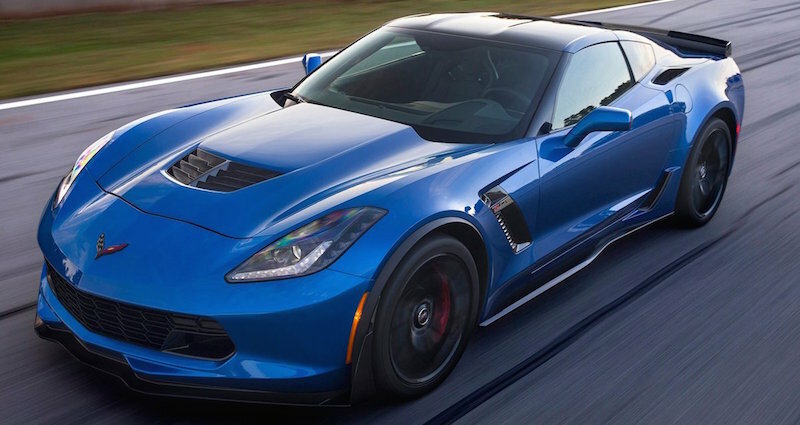 Moving up the 2016 Corvette Z06 means you’ll be driving a 6.2-liter supercharged V8 engine, which is rated at a whopping 650 horsepower and 650 lb.-ft. of torque, paired to either of the same two transmission options. Opting for the manual transmission returns an EPA-estimated 15 city, 22 highway, and 18 mpg combined, while the automatic is measured at 13 city, 23 highway, and 16 mpg combined. Edmunds took the manual transmission-equipped Stingray Z51 coupe for a test drive and clocked its zero to sixty mph sprint at 4.1 seconds, with the automatic coming in at a flat four seconds. The Z06 returned an even zippier 3.5 seconds. As impressive as the 2016 Chevy Corvette’s performance is, Edmunds returned equally impressive safety results from the brake testing. The upgraded brakes outfitting the Stingray Z51 coupe allowed the car to come to a stop from 60 mph in a scant 93 feet. Edmunds has never before recorded such a short distance in its brake testing. Not to be outdone, the Z06 coupe and convertible made the stop in just 94 feet. Other safety features include side-impact airbags, stability and traction control, antilock disc brakes, rearview camera, and the bowtie brand’s OnStar system, which features on-demand roadside assistance, automatic crash alerts, stolen vehicle recovery assistance, and remote locking and unlocking. Priced to start at $55,400, the exciting 2016 Chevy Corvette inventory is waiting at your Chevy Albany, NY. This is the ideal performance car that will let you “Find New Roads” and turn heads while you’re at it.